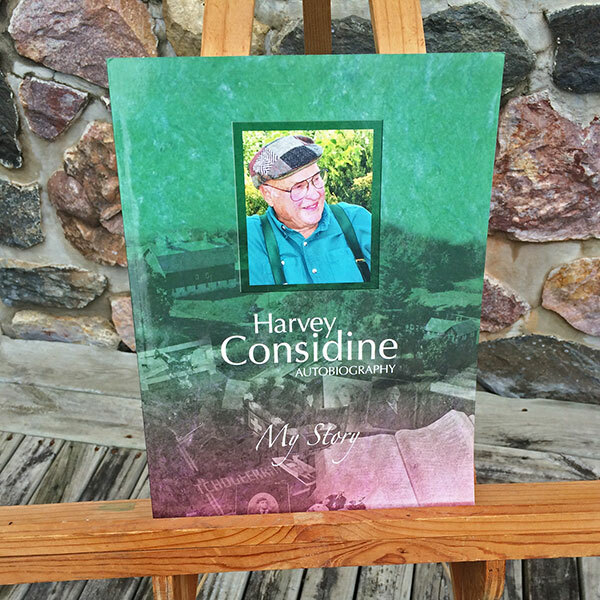 Harvey Considine has experienced the delights of dairy goats for five decades. 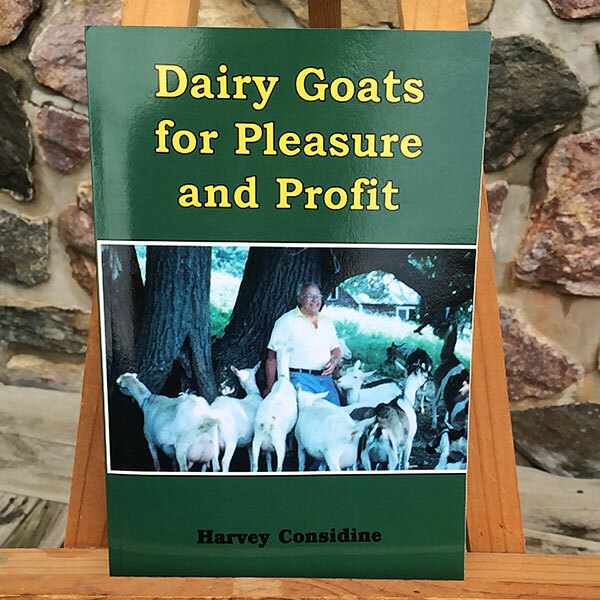 A farmer committed to sustainable agriculture, a captivating speaker on dairy goats, popular judge and leader in dairy goat organizations, he and his wife Elaine live on their farm west of Portage, Wisconsin. Filled with valuable practical husbandry information. Facts on breeding, kidding, feeding, milking, housing and marketing. 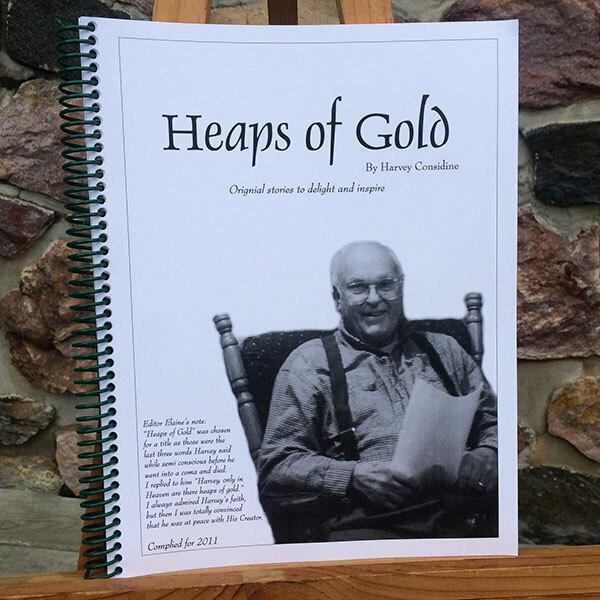 An excellent reference for 4-H and FFA members, their leaders, as well as beginning and experienced goatherds. Includes feeding, equipment and facilities ideas. 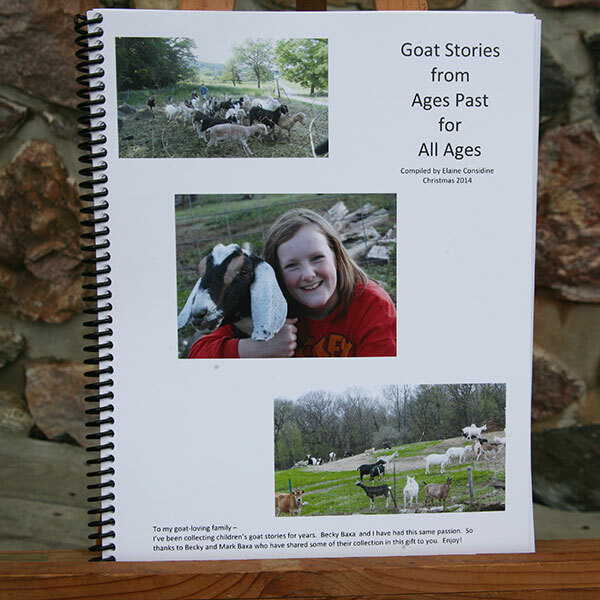 Delicious recipes from dairy goat products. How-to information on selecting a breed, buying animals. Shows the joy of a dairy goat lifestyle. Your thimble is still our biggest seller. Thanks for the quick service. Thank you for this excellent thimble. We have had a great response to the pincushions. The colors are really attractive. Dear Elaine, Thanks so much. I thought that arthritis had ended my quilting days, but have started to tie and that’s working nicely. Of course, anything to do with a needle would be impossible without your thimbles. Thanks again. Your thimble is the best finger protector this quilter has ever found. I’ve been waiting for something like this for over 15 years. I needed a thimble to use on my thumb and yours are just perfect. I purchased your beautiful pincushion from one of the vendors at a recent quilt show. I would like to carry them in our shop. I received my thimble today. They are a perfect fit. I’m always looking for the best tools, and the thimbles are great. I’ve bought other leather thimbles, but yours are definitely superior. The others wear out too fast. This Wooly Stick fits perfectly on my machine. Thanks! Just received your shipment of 12 pincushions and they all sold immediately. Send me 24 more.